Home Group – Why Do Bond-slaves Have Their Ear Pierced? Why Do Bond-slaves Have Their Ear Pierced? Last week while looking at the name of Adonai and the fact that it means Lord, Master and even Owner we had to cover the fact that we who know, love and worship God – Adonai – belong to Him: We are His Bond-slaves. Dealing with the issues of being slaves to God isn’t easy to understand or accept, especially when the Bible also tells us that we’ve been set free from slavery to sin to freedom to Christ. Yet the Bible very clearly states that we who belong to Yeshua, those of us who have put our faith and trust in Him, are now no longer our own, we have been bought with a price. We BELONG to Yeshua our Messiah. This takes some time to digest and a friend – Steve Monro actually – pointed me to an article about becoming a bond-slave and what the symbolism in the Old Covenant points to and I wanted to share it with you. The meaning of this ear-piercing ritual that God outlines in the law is much more profound than I could possibly have imagined. It does seem a slightly strange ceremony, doesn’t it? But as is so often the case with the Bible, if you scratch a little beneath the surface, there are all manner of truth treasures to be found. It’s a matter of asking the right questions and steady observation. Take the principal ideas to start with: Nails driven through flesh? Blood on doorframes? Permanent piercing, with holes and scars forever? Does it sound at all familiar?! If you are starting to see the parallels, good. The process was this: The slave, who for the reason of love wished to serve his master voluntarily, would be taken to a doorframe. Then amartzayah– something that is used to bore a hole (the word is only used in these two descriptions in the Bible) would pierce or bore a hole through the skin of the earlobe, marking the flesh permanently. Paul says in Galatians 6:17,“I carry the scars of Jesus on my own body.” The word for scar here is στ?γμα –stígma. Here is the Strong’s Definition: from a primary στ?ζω stíz? (to “stick”, i.e. prick); a mark incised or punched (for recognition of ownership), i.e. (figuratively) scar of service:—mark. The description continues;A mark pricked in or branded upon the body. To ancient oriental usage, slaves and soldiers bore the name or the stamp of their master or commander branded or pricked (cut) into their bodies to indicate what master or general they belonged to, and there were even some devotee’s who stamped themselves in this way with the token of their gods. Paul is talking about scars, marks, stigmas in his own body that mark him out as a bond-slave to Yeshua. But Yeshua also has permanent scars. His scars also came about from having His fleshed pierced on wood, as a result of love, and willing submission to serve. “Not my will, but yours”, He said. “The Son of Man came not to be served, but to serve”. Yeshua is the ultimate servant, whose glorious scars all other scars can only be a shadow of. He still has scars on His hands to this day, and forever – a permanent mark of His great love and willing servanthood, far beyond any conceivable call of duty. The concept of bringing your servant to a door in order to carry out the whole operation is also quite interesting. The New Testament word for door appears 39 times, and is a fascinating study in itself. Yeshua says twice, “I am the door” in John 10. John 10:7, “Truly, truly, I say to you, I am the door of the sheep”,and again in verse 9, “I am the door. If anyone enters by Me, he will be saved and will go in and out and find pasture”. A door is a passageway; a portal. It presents an opportunity to move from one environment to another. Isn’t that exactly what all of this is about? 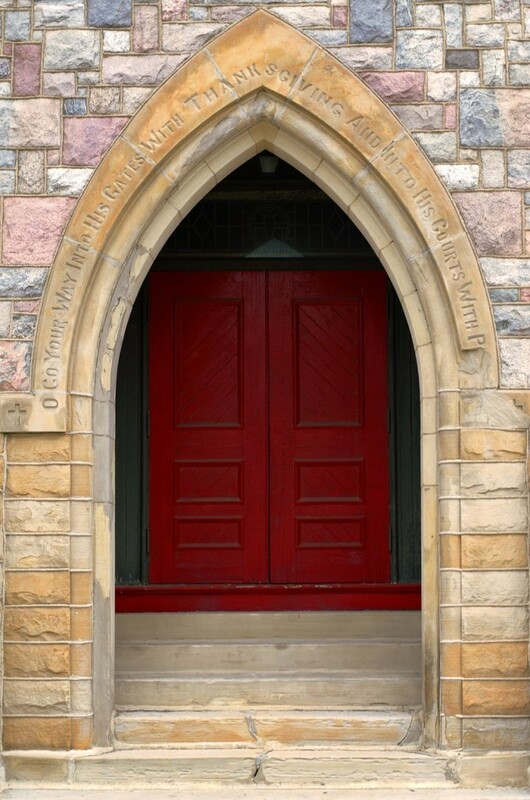 As a metaphor, a door can be used to signify opportunity, and “The door of the kingdom of heaven” is said to denote the conditions which must be complied with in order to be received into the kingdom of God. When we think of doorframes in the Bible, our mind is whisked back to the Exodus story itself – a pivotal moment in Israel’s history. The moment when the Israelites were liberated from forced slavery, and were delivered into freedom, where they willingly entered into a covenant with their God – to follow His commandments. Blood on the doorframe is one of the most iconic images of this transfer from slavery into following a new Master in freedom. The blood of the Messiah from His pierced flesh on the cross, the blood of the Passover lamb on the lintels, and the blood of the slave who for love agrees to serve his master willingly. Crossing over the threshold, through the door, must be voluntary. And Yeshua presents us with that opportunity. He IS that portal – He IS the door to the Kingdom of Heaven. It is no accident or mere matter of convenience that the servant is brought to a door for this ritual. So we have priests made holy to the Lord by their ears, thumbs and big toes being made holy with blood from the sacrifice, and then leprosy, a picture of sin in the Bible, cleansed and atoned for by blood applied to the same places, followed by anointing oil applied on top. Our hands signify our deeds, our feet represent our walk, and our ears signify obediently hearing and obeying our Lord. It is a double picture of a life thoroughly cleansed and consecrated to God. Sin is atoned for, and the body is ready for service. Ear to the throne, ever ready to hear God’s bidding and carry it out. The Apostle Paul regularly identified himself as a bondservant of Yeshua, using the Greek worddoulos(δο?λος) which means a slave, bond-servant, one of servile condition, and we would do well as those redeemed from sin and consecrated as priests to see ourselves in the same way. We are free – we are completely free to choose, but do you love the Lord so much that you will go to the doorway of decision and opportunity, Yeshua Himself, and bear His stigma scars in your own body, surrendering the rest of your life to be God’s willing slave forever? We give up the right to call the shots – instead, we obey His instructions. Our lives are not our own, but then again, we do not have to worry about what we will eat, drink and wear, but our Lord takes care of us, giving us everything we need to carry out His will. 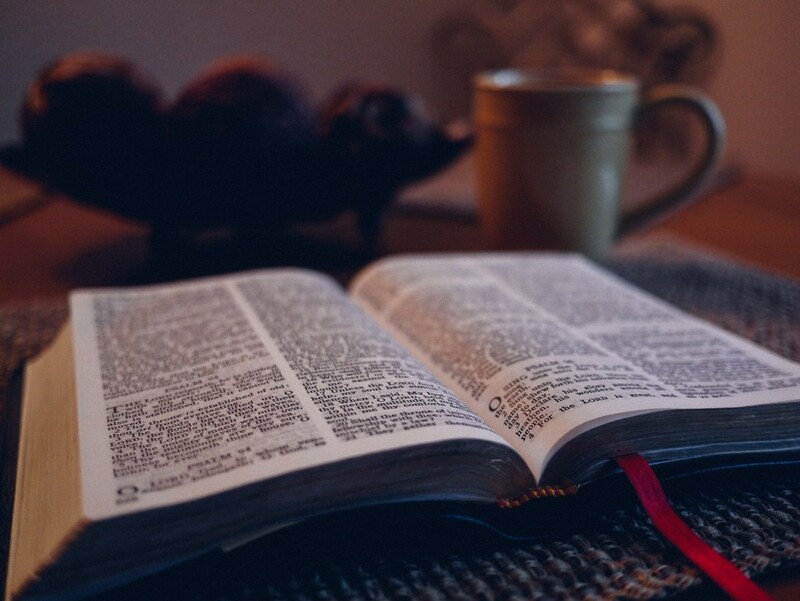 If you would like to, why not read again God’s words in Deuteronomy, considering and applying each concept, and offering your life afresh in willing service to your Lord and Master. “If the slave plainly says, ‘I love my master… I will not go out free,’ then his master shall bring him to God, and he shall bring him to the door or the doorpost. And his master shall bore his ear through with an awl, and he shall be his slave forever”.